Dezeen founder and editor-in-chief Marcus Fairs has been named the first-ever international ambassador for Dutch Design Week, alongside homegrown figures Winy Maas of architecture firm MVRDV, and design studio Atelier NL. Fairs is the first journalist to receive the accolade, as well as the first non-Dutch individual. By appointing an international ambassador for the first time, Dutch Design Week aims to emphasise and promote the international nature of the event, which takes place in Eindhoven each October. "This decision has been taken to underpin the international nature of the ambassadorship, something that all three ambassadors are known for," said Dutch Design Week. The week has appointed ambassadors each year since 2009 "to champion Dutch design in general and the week in particular". Past ambassadors include Maarten Baas and Bas van Abel in 2016, and Studio Makkink & Bey and Koert van Mensvoort in 2015. "This year three ambassadors have been chosen," said Dutch Design Week. "They truly represent design across the board and will deploy their networks to create links. "Above all, they form a sounding board for participants and visitors and, together with the organisation, they develop a number of special activities that will take place during the week." Architect Winy Maas is one of the founders of Rotterdam-based studio MVRDV, one of the Netherlands' most successful and influential architecture studios. The firm was placed ninth in the inaugural Dezeen Hot List of the most newsworthy forces in international architecture and design. Eindhoven-based studio Atelier NL consists of designers Lonny van Ryswyck and Nadine Sterk. Their work often explores how natural materials vary according to location, as expressed in their Fundamentals of Makkum tableware project, which used clay from different parts of the Netherlands to create objects of varying colour and texture. 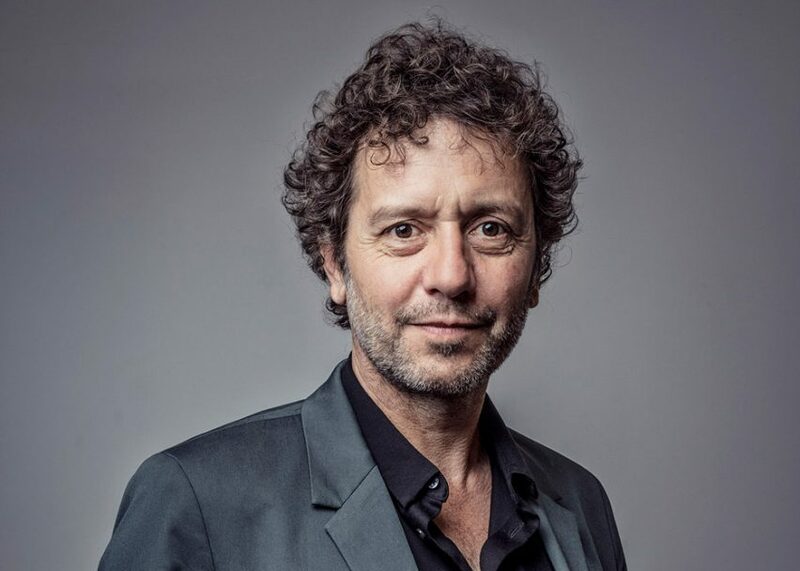 Marcus Fairs founded Dezeen in 2006 and is the first digital journalist to be awarded an honorary fellowship of the Royal Institute of British Architects. "With the appointment of Marcus Fairs, who is founder and editor-in-chief of online magazine Dezeen, the week will gain more depth and impact," said Dutch Design Week. "As a journalist and design critic he is known to be a gifted debater, is adept at bringing developments in design to a global audience and is able to evaluate Dutch design from an international perspective like no one else." This year sees the 16th edition of Dutch Design Week, which the organisers claim is the biggest design event in northern Europe. It takes place in Eindhoven from Saturday 21 October to Sunday 29 October. Photography is by Martin Dijkstra.